I simply cannot believe that the end of 2018 is so close. I LOVE Christmas, but am always a little sad to say goodbye to the year. Still I'm excited to see what 2019 has in store for us. Publishing-wise, two books are already contracted, written, and turned in to be published in 2019--the last two books in the Darkwater Inn series. Still working on the possibility of a 3rd book coming out in 2019. Family-wise, my college-girl will be starting her second semester towards her double degrees of Journalism and English. My junior in high school will receive her senior ring next week. My grandsons are working hard in 2nd and 3rd grades. I'm really looking forward to the holidays and visiting with family I don't get to see all year. I wish for blessings to all of you, dear readers, during the holiday season and into the new year. 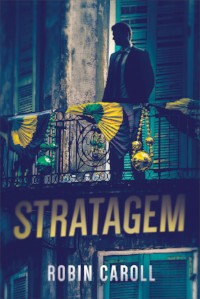 My latest release, STRATAGEM, is getting some awesome reviews. Have you read it yet? Let me know what you thought of it if you haven't yet! 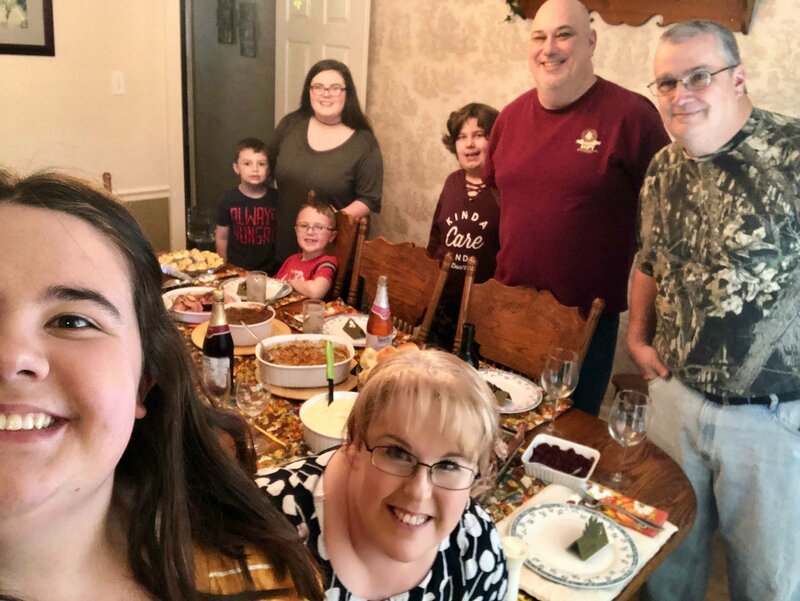 We had a great Thanksgiving. My brother-in-law and his daughter came to spend the holiday with us. We ate and ate and ate, but it was all good. I hope you all had a good holiday as well. Want a sneak peek at the 2nd book in the Darkwater Inn series cover? Play the puzzle game with it HERE. Those who play will get their name entered into a drawing for an ADVANCED READER COPY of Darkwater Lies! Escape rooms and reality distortion games are all the rage now and while many are rushing to try them out, I’ve not joined in yet. However, after reading this book, I may have to try it as I’m a logical person who enjoys a good puzzle. This book provided a wonderful puzzle for my mind as I carefully looked at the clues to find the culprit before they were revealed. I figured it out about 2 chapters before the revelation and still didn’t know all the whys until I read the confession. This was a wonderful way to write the story and keep the tension strong and I will definitely be looking for more stories from Ms. Caroll. She began her story with phychologist Grayson Thibodeaux returning home from a weekend away. He is met by his long-time friend and New Orleans Police Detective, Brandon Gibbons and his partner who inform Grayson that his ex-wife Anna Belle has died. Her death is suspicious given it was anaphylactic shock, but Grayson refuses to believe it was an accident. Anna Belle might not have been the nicest person but she was hyper vigilant about carrying an Epi-pen on her person at all times. But Grayson is the number one suspect, given their recent, ugly divorce and the fact that Anna Belle died during the play out of a reality distortion game that Grayson personally helped build. He knows he is innocent but with all the evidence pointing his way, Grayson will have a hard time proving his claims. Deciding to take the matter into his own hands, Grayson and his assistant Pam will go back over everything that happened during the play out of the game and see if they can discover what really happened. 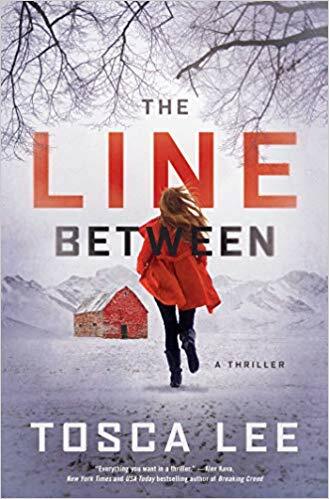 But the more clues they uncover, the deeper the mystery becomes, until finding Anna Belle’s killer will require them to look beyond who they think people are to who is really underneath. Its hard to really give a good review of this book without giving away any clues as to the mystery. This was so well written and so very life-like in its telling that I felt truly frustrated and determined alongside Grayson in his quest for justice. I loved the details that were included as well as the ones that were left out to keep everything from becoming too technical. “Behind the scenes look” is one of my favorite type of stories, and this book gave you a good look at what it takes to create a personalized game that tests the skills and fears of people. I was very interested in the complexity that went into each game as a whole and the tests for each person within the game. That Grayson hoped to use his games to inspire people to face their fears and overcome them was a great addition to the book as well. Grayson’s faith journey was another well-crafted part of the story. For a man who had lost everything he loved on earth, he seemed fairly put together to most people who saw him. His personal struggles with anger, resentment, guilt and unforgiveness could only be seen by those truly close to him. But Ms. Caroll showed how God can take all the awful, terrible things in our lives and bring beauty and glory out that we never imagined could found. Grayson’s eventual willingness to lay it all aside would finally give him the freedom he’d been looking for for so long. I will most certainly recommend this book to others and have already made plans to purchase this book for my personal shelves. This book could certainly be re-read and more clues found with each read. I will also be looking for other works by Ms. Caroll as her style of writing is most excellent.